Amol Rajan with the demographer Paul Morland, writer Julia Blackburn and historian Diarmaid Ferriter. Amol Rajan explores how geology and demography have shaped the modern world. Paul Morland argues that we have underestimated the crucial impact of population changes on global events. He looks at how demography has had a major influence, from world wars to China’s rise; and from the Arab Spring to Brexit. In the distant past people could walk all the way from continental Europe to England through the ancient region of Doggerland. 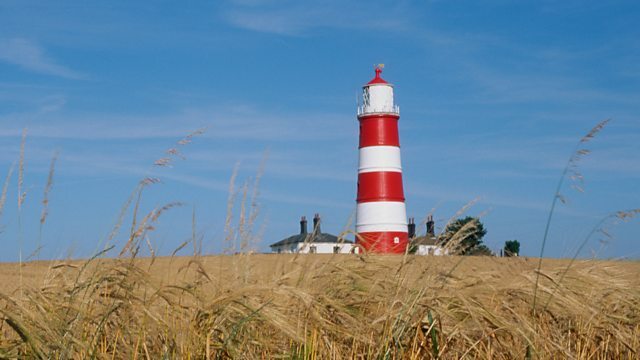 Julia Blackburn scours the Suffolk coastline for this lost land which was submerged by rising sea levels around 5000 BC. As the debate around the border between the Republic and Northern Ireland continues to dominate discussions on Brexit, the historian Diarmaid Ferriter explains how this line became a political battleground. The meandering boundary which cuts through fields and crosses rivers was once dotted with watchtowers and military checkpoints to stop movements of people and goods. Dr Paul Morland is associate research fellow at Birkbeck College, University of London and a renowned authority on demography. Julia Blackburn is an author. She has written six books of non-fiction, a family memoir, The Three of Us, which won the 2009 J.R. Ackerley Award, and two novels, The Book of Colour and The Leper’s Companions, both of which were shortlisted for the Orange Prize. Diarmaid Ferriter is a historian and Professor of Modern Irish History at UCD. He is a regular broadcaster on television and radio and a weekly columnist with the Irish Times.